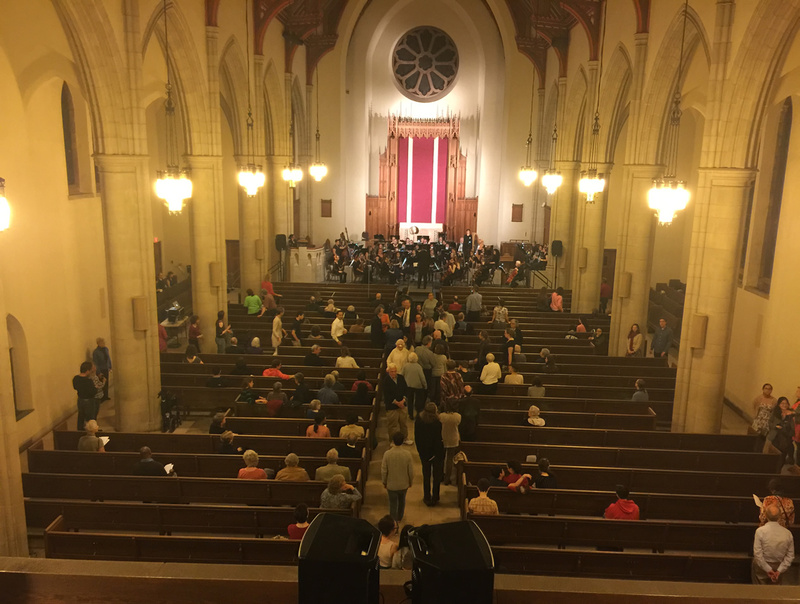 I had the pleasure of attending the Mount Holyoke Symphony Orchestra's final concert of the 2014-15 season, titled "Simple Gifts". The concert was in the college's Abbey Chapel, and was well-attended. The impetus for the programming came from two sources --a research interest of pianist Gary Steigerwalt, a Mount Holyoke faculty member, and the commissioning of a new work from Singaporean composer Hoh Chung Shih.The first half of the program provided context for the commissioned work, Hi-lo Fide-lio: Wunder mir ist so bar, which employs both historic recordings of the "Mir ist so wunderbar" quartet from Beethoven's opera Fidelioand live performance by the orchestra in spatial counterpoint. The orchestra opened with Beethoven's overture to Fidelio, appropriately setting the stage for the audience's first hearing of the Hoh piece. Directions from Ng Tian Hui, the conductor, before the premiere performance, caused some quizzical looks around the audience. We were encouraged to use portable electronic devices to access recordings --QR codes were printed in the program to make the process as easy as possible --and we were encouraged to get up and move around the spacious chapel to appreciate the ever-changing acoustic interplay of the historic recordings and the punctuations from the orchestra. 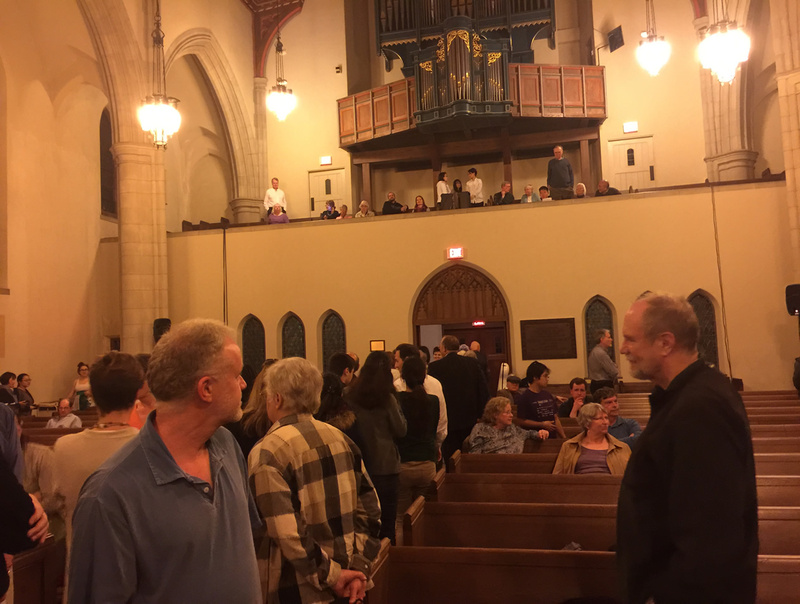 The performance began, and the bolder members of the audience began wandering the aisles to experience the piece as a sort of "aural art gallery", each listener controlling his/her experience byvarying distance from the many loudspeakers installed around the perimeter and from the orchestra in the front of the chapel. This first hearing of the piece was followed by a live performance of the "Mir ist so wunderbar" quartet from Fidelio, well sungby student soloists from Mount Holyoke and the community. Hi-lo Fide-lio: Wunder mir ist so bar was then given a second hearing. This time the audience knew their role from the get-go, and the gallery meandering began very early and involved more of the audience sooner. The piece was extremely well-received by the audience, to judge by the applause.